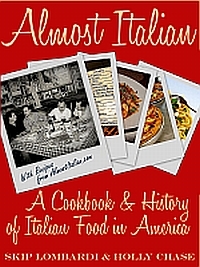 Editor’s Note: For more Turkish Recipes, visit Holly Chase dot Com. If you live anywhere in Florida, as far to the north as US Dept of Agriculture Zone 7, you can see Eriobtrya japonica, loquat trees, beautiful broad-leafed evergreens native to Japan and China. 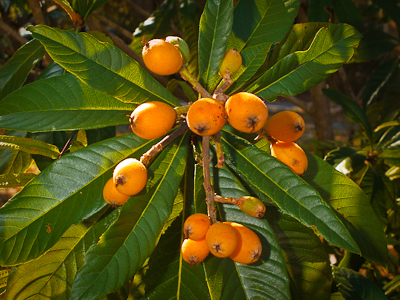 If you are in the Carolinas, your loquats may be purely decorative shade specimens that rarely bear fruit. But here in Florida, we are especially lucky this year; even after some serious freezes, the 2010 loquat “crop,” at its peak right now, is the best we’ve seen in years. The small, oval fruits range from pale green to the color of apricots, when they are ripe. To the unfamiliar, ripe loquats look a lot like queen palm fruits, which are falling to the ground now. But once you see loquats against their tree’s distinctively veined and fuzzy leaves, there’s not chance of confusion. Palm trees look nothing like loquats! Human ignorance is the birds’ and squirrels’ gain. Many a fruit will have a tiny peck from a jay or mocking-bird. (That’s one way to be sure they’re ripe! They are still safe to eat.) And if the fruit have already fallen to the ground and are a bit bruised, but intact, don’t discard them. Fruit soft enough to bruise will be sweet.) Just rinse them off and pit them; most have one or two shiny brown seeds that you can quickly and easily remove with your fingers. Enjoy loquats fresh, in salads, or—as the Turks do—briefly cooked in meat dishes. This is hardly nouvelle cuisine. The combination of fruit with meat has roots in the pre-Islamic cooking of ancient Iran. When Islam came to Iran in the seventh century AD, it quickly appropriated the sophisticated cuisine of the Persian elite, who had long cultivated fruits indigenous to Mesopotamia and more distant regions of Asia. 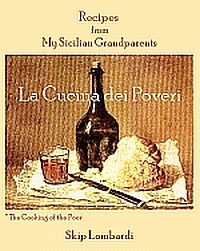 The spread of Islam and its willingness to incorporate non-Arab customs meant that, within a few centuries, Persian cooking styles were known from Central Asia and Northern India to the entire Mediterranean and beyond–as far as the Atlantic shores of Portugal and Morocco. Today, many of Morocco’s complex dishes of meat slowly cooked with tart fruit (whose acidity acts to tenderize the meat) are strikingly similar to creations that would have been served in ancient Persia. The juncture of agricultural richness and continued cultural interchanges between northern Syria and southeastern Turkey have helped maintain many unique regional dishes that still whisper the influence of Persia. In the Turkish province of Gaziantep along the Syrian border, loquats and lamb come together in an easily made dish with flavors as complex and beguiling as the region itself. Here is one version of the regional treat known as Yeni Dünya Kebabi. NOTE: In Turkish, kebab merely means “cooked red meat.” Readers should know that a sis (sheesh) is a skewer. Thus, Turks are bewildered when American magazines provide recipes for things like Pineapple-Marshmallow Kebabs or Fish Kebabs with Green Peppers. In other words, we’ve confused the word for skewer with the thing skewered! In Turkish, Chicken Kebab makes no sense, but you can order Tavuk Sis, which is skewered, grilled chicken pieces. Such entertaining confusion just seems to be an everyday seasoning in this part of the world, as highlighted by the old song, It’s Istanbul, not Constantinople. Inspect the lentils, removing any debris. Rinse and bring them to a rapid boil in 1 1/2 cups of water in a small saucepan. Turn off the heat and cover the pan. Set it aside. Pit the loquats and break or cut each into 2-3 pieces. Refrigerate. Organize all the other ingredients. In a food processor, mince the ginger, garlic, and onion. Scrape them all into a 2-quart mixing bowl. Mince the parsley (stems and all) and add to the bowl, along with the ground lamb, egg, and all the seasonings. With a spoon or spatula stir them to combine. Check the lentils; they will have absorbed most of the water and should be almost done, with some resistance when you bite one. Drain them, reserving any liquid. Pulse lentils in the food processor a few times, to break them up. Stir the lentils into the meat mixture. Add the bread crumbs, more or less, depending on how wet or dry the mixture seems to be. You want to be able to form 16-20 oval meat patties (köfte, in Turkish), each about 2 inches long. Köfte may be made up to 24 hours before finishing the dish. In a large non-stick skillet, 12-14 inches, sauté the köfte over medium heat. Allow them to brown for 5-7 minutes on one side before turning them (this parcooks them and makes them easier to turn. Turn the köfte, and as you are browning them, add the reserved loquats to the pan. If anything begins to stick, add any of the reserved lentil broth or a little water. When the meat is browned and the loquats have started to soften, drizzle the pomegranate concentrate or balsamic vinegar over the köfte. 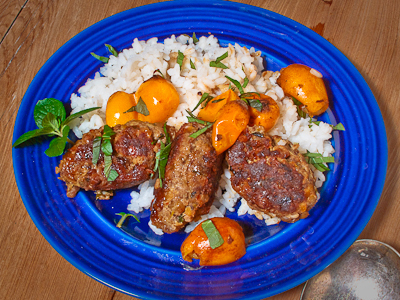 Serve the köfte and any pan juices with white rice or bulgur pilav. Sprinkle each portion with freshly snipped mint and garnish with a sprig of mint.